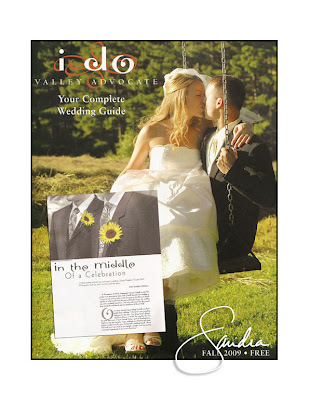 A big shout out to the crew at the Valley Advocate who put together the wedding guide "I Do." Their latest edition includes an interview with yours truly, as well as some classic Studio SMC wedding photos:) Check it out at new stands and all of your favorite wedding hot spots. Enjoy!